It’s been a whole month since I last wrote or posted anything. Life has been extremely busy. The new job is taking up my time- far too much of my time, if I’m honest. Don’t get me wrong, I love it but I seem to have abandoned everything else. That’s not ok. 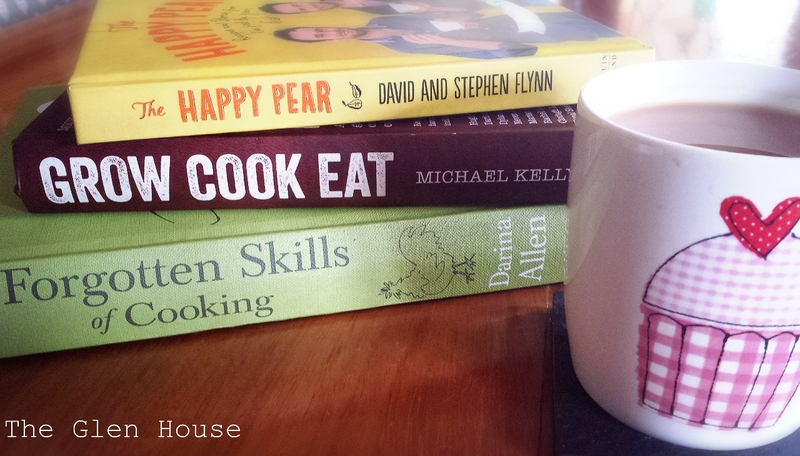 So, sitting at the kitchen table, with a cuppa and a pile of books… I’m back! August was bonkers. We had lots of visitors, so in between work I managed to do a bit of baking. I wish I had time to bake more often. I find myself commuting to work dreaming of baking. Life is so hard!!! 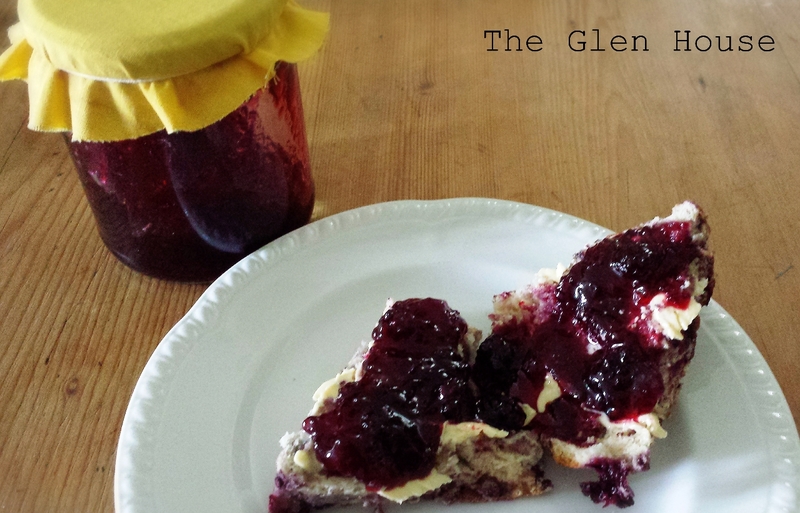 One of the quick, easy recipes I used this summer was from the Cooks Academy in Dublin. 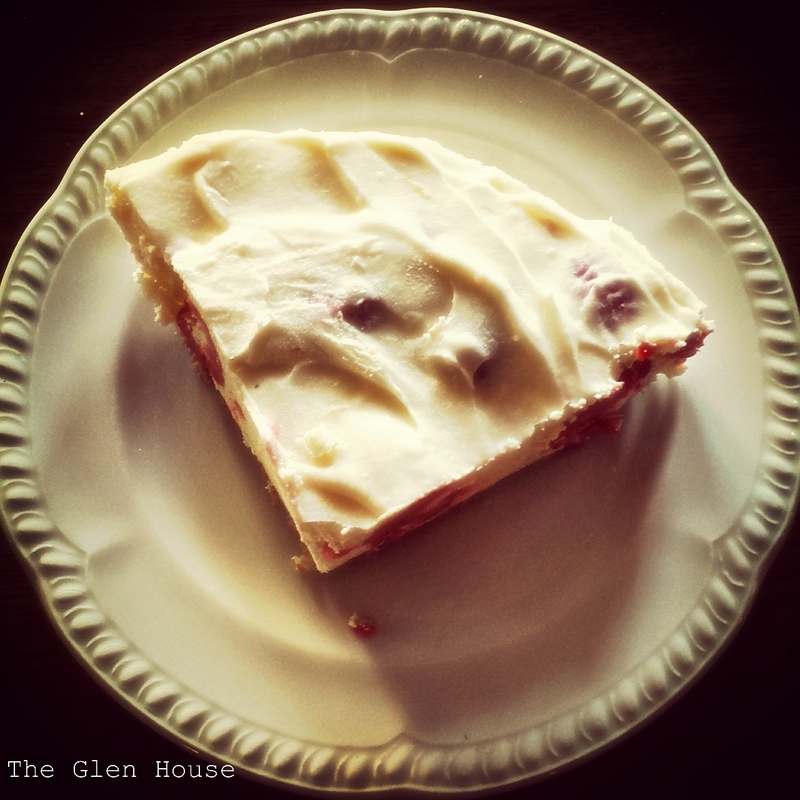 Their White Chocolate and Raspberry Cheesecake has been a favourite recipe at the school for the last ten years. It’s the perfect dessert for entertaining and thanks to Tim, Vanessa and Darina I pulled it off! Crush the biscuits in a plastic bag with a rolling pin, until they resemble breadcrumbs. Stir the melted butter thoroughly into the biscuits. Press into the base of a greased 20cm tin and chill in the fridge for 10 mins until the base is slightly hardened. Using an electric whisk, beat together the cream cheese, sugar, lemon zest and juice, until smooth. 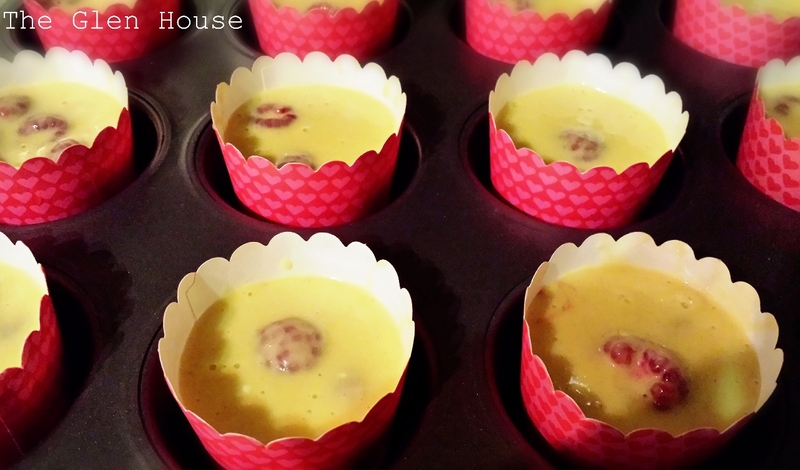 Melt the white chocolate in a heatproof bowl set over a saucepan of simmering water. Once melted, slowly pour the chocolate into the beaten ingredients, whisking as you do so. Fold in the whipped cream. 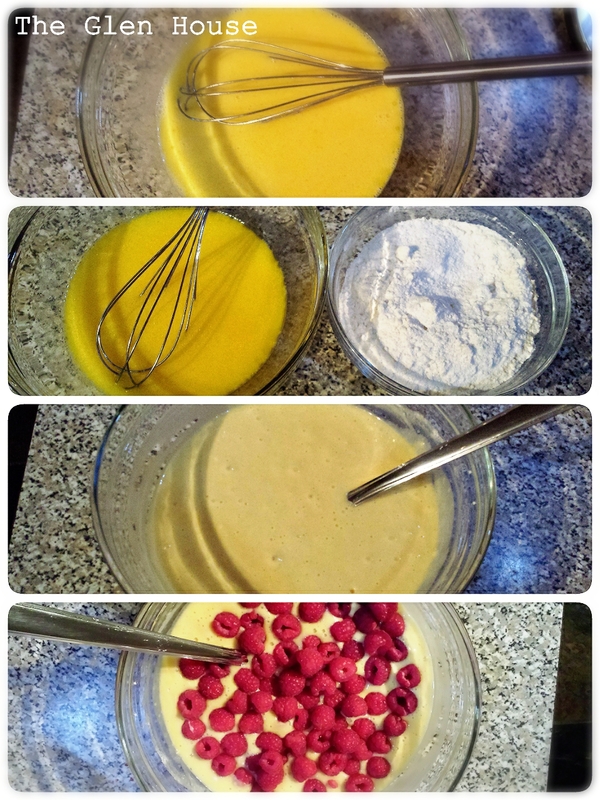 To assemble the cheesecake, scatter half the raspberries over the biscuit base and pour half the cream filling over. 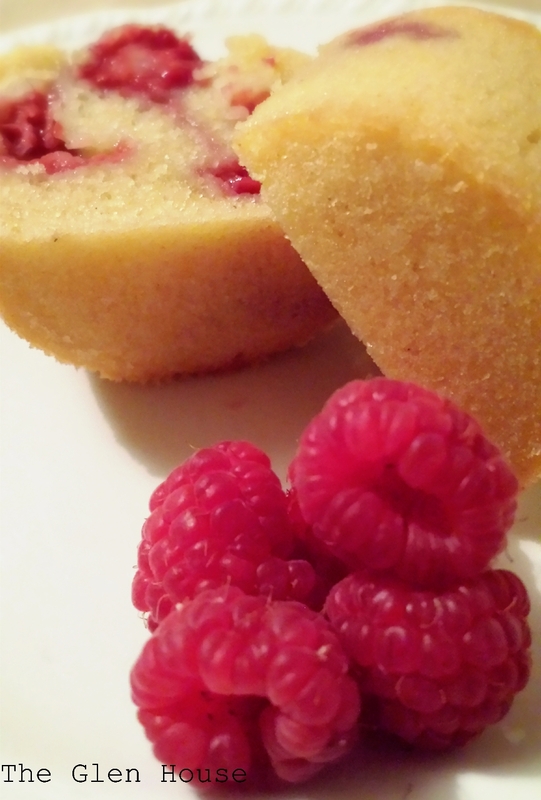 Repeat with the remaining raspberries and filling and level the top with the back of a spoon. Leave to chill in the fridge for 4 hours or overnight. 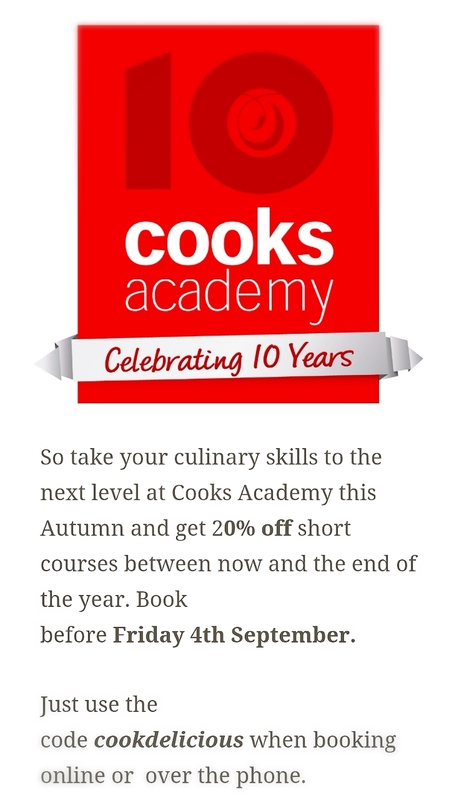 If you fancy doing a short course at the Cooks Academy too, they are offering 20% off on their website until Friday 4th September. 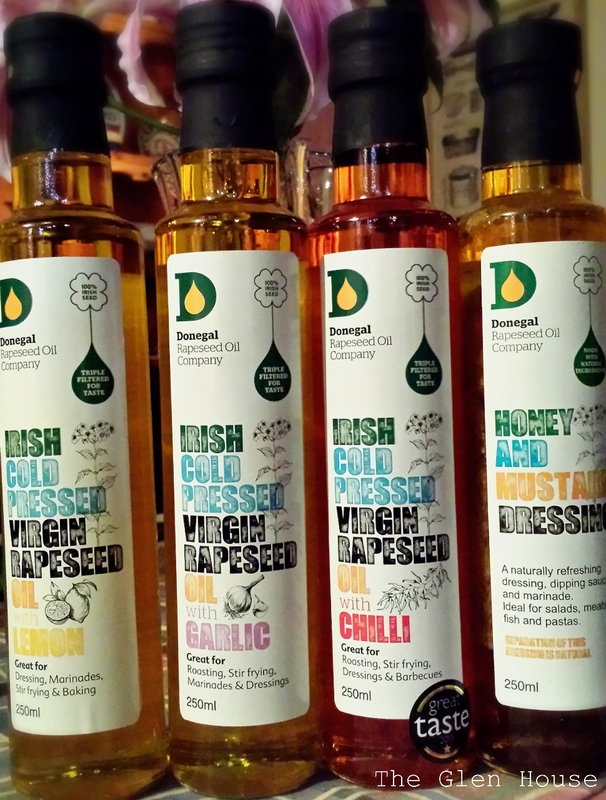 A few weeks ago the lovely people at Donegal Rapeseed oil tweeted that they were looking for recipes using their oil. I cheekily tweeted back that I’d be happy to come up with a recipe if they sent me a bottle, so they sent me four!!! I was utterly shocked to receive a beautiful gift box containing lemon, chilli, garlic and a honey and mustard dressing. It is multi-award winning oil; the garlic infused oil has a wonderful ‘just pressed’ garlic flavour ideal to cook fish and seafood, or simply used to roast potatoes or drizzle onto pizza. The chilli flavoured oil is perfect for adding spice to your cooking. It is great for stir-fries or use to inject some spice to any casserole, soup or pasta dish. The lemon infused oil is zesty, refreshing oil that will ignite your taste buds. It is fantastic for cooking fish and chicken, and delightfully refreshing drizzled on a summer salad. 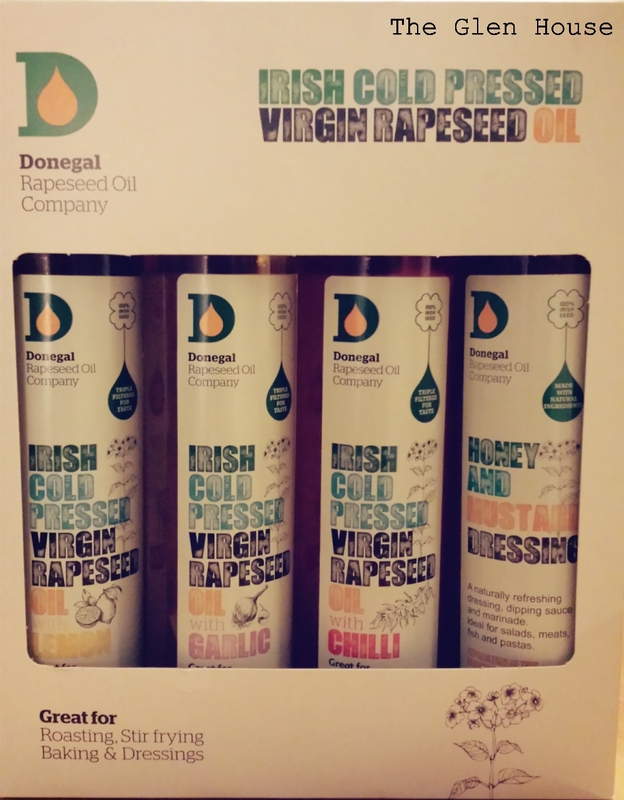 Donegal Rapeseed Oil website explains that it has less than half the saturated fat of olive oil, resulting in it being one of the healthiest culinary Oils in the market. It says it contains no artificial colours, flavours, or preservatives, and is a natural source of healthy fats known as omega 3, 6, and 9. Omega 3 and 6 are essential in the diet and are well known for their health benefits. They help to maintain normal cholesterol levels in the body, which is important for a healthy heart and cardiovascular system. It is a rich source of vitamin E, a natural antioxidant which helps to protect the body’s cells from damage. Sticking to what I know best, I thought that I would bake something sweet. 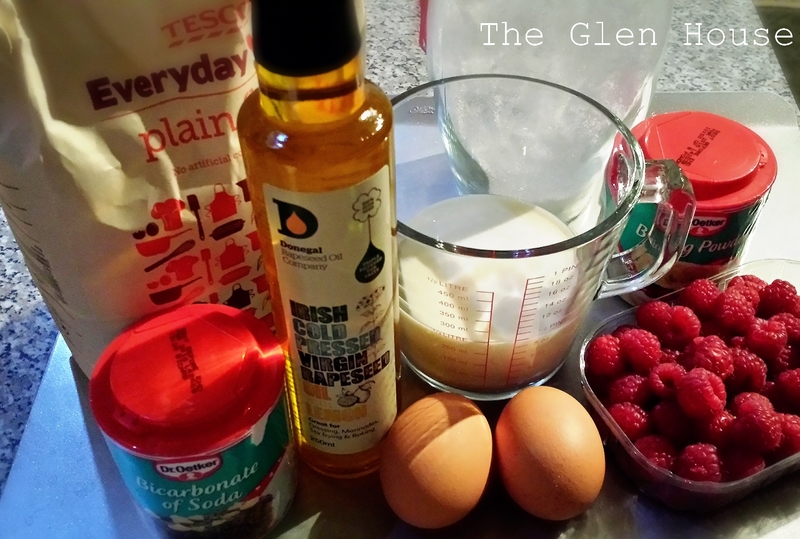 I decided to go for some classic, easy to make, fruity muffins and use the lemon oil, which smelt incredible and had a wonderful fresh zesty flavour! Preheat the oven to 180 degrees and line a muffin tray. In one bowl whisk together the oil, milk and eggs and in a second bowl combine the dry ingredients. Stir half on the dry ingredients to the oil, milk and egg mixture, ensuring that it is mixed thoroughly. 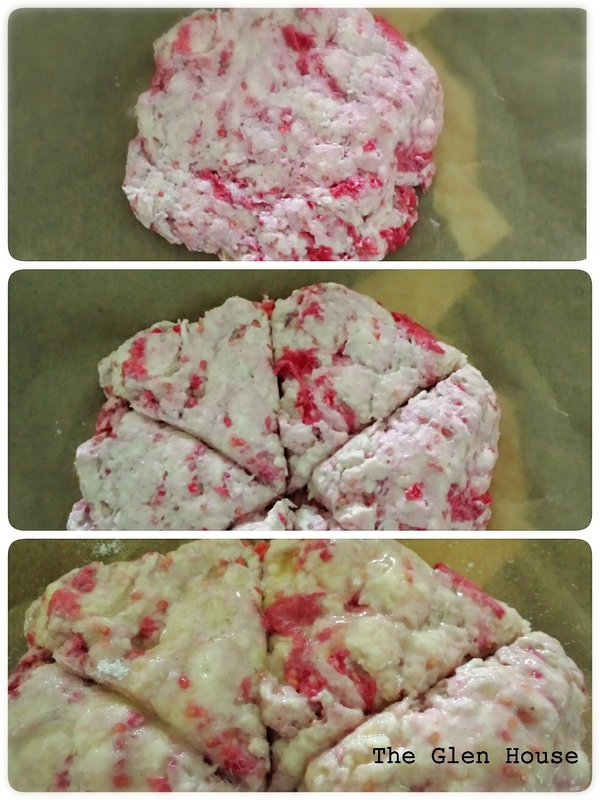 Then fold in the second half of the dry ingredients. 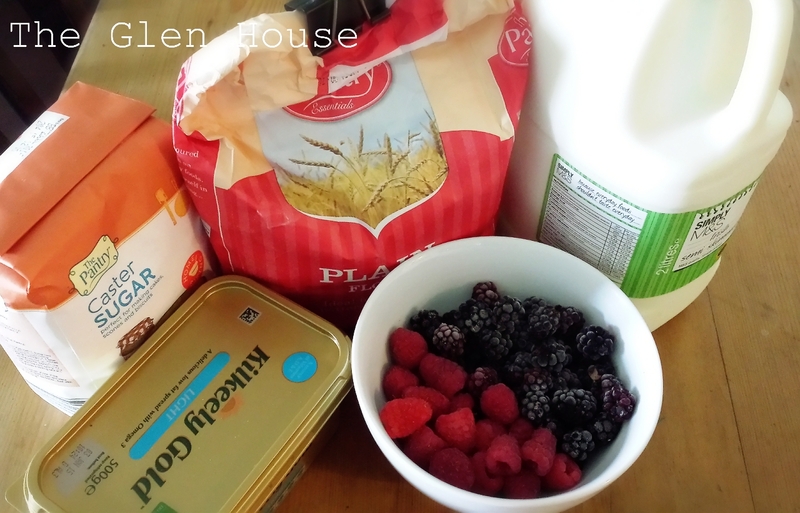 Finally, fold the raspberries into the mix. 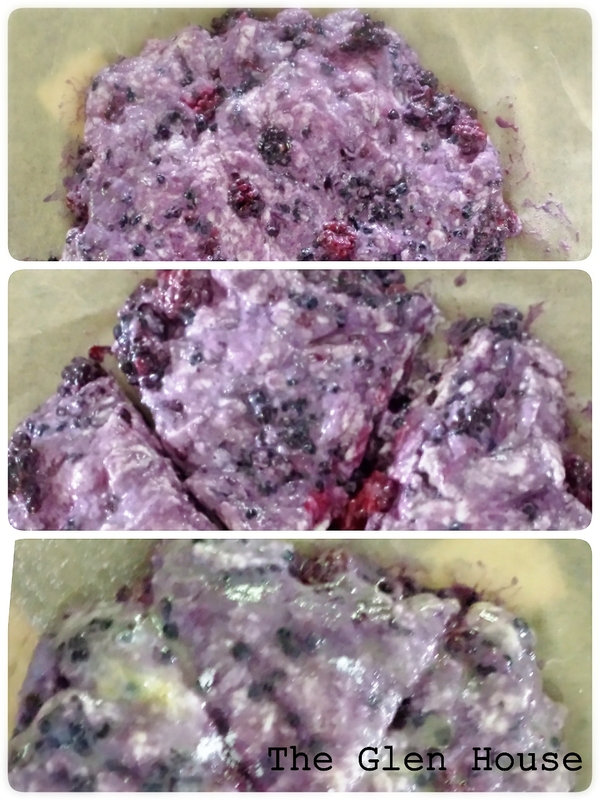 Using a teaspoon carefully place the mix into the muffin cases and pop into the oven. Bake for 20 minutes, until slightly golden. The smell and the taste of these muffins are incredible! 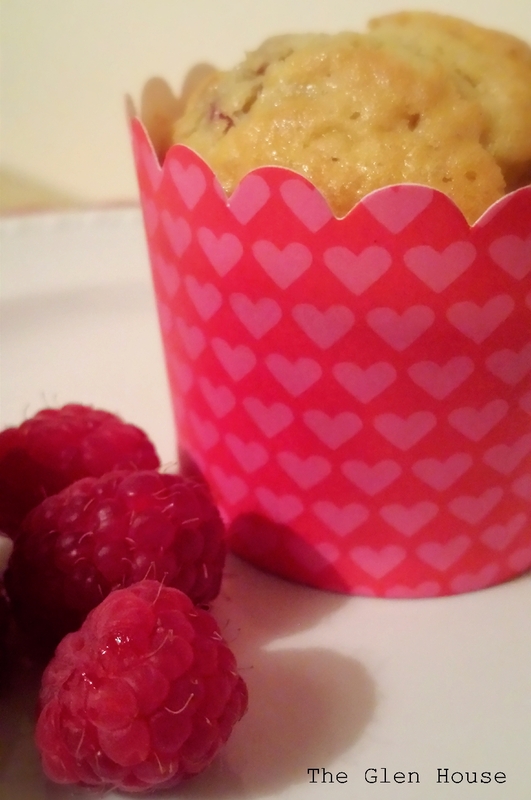 The Donegal Lemon Rapeseed Oil works brilliantly to give these muffins a wonderful light texture and fantastic taste. I’m bringing these beauties to Angie’s party over at Fiesta Friday! 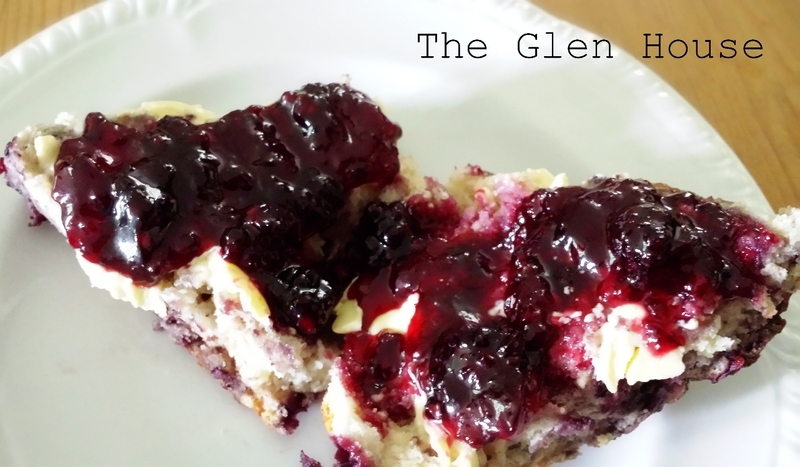 Every now and again I really enjoy a good scone! Not the bland, boring, dry type but the crunchy topped, light, fruit filled type. I’m not gonna talk about the referendum BUT…. 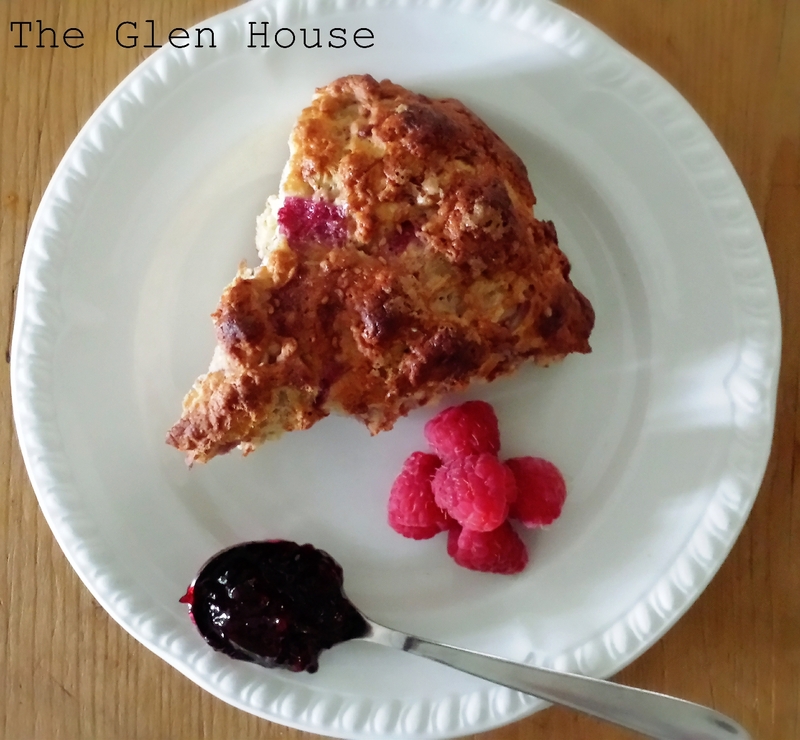 Seemingly scones originated from Scotland but have become known around around the world as part of a typically English afternoon tea. Preheat the oven to 220C/425F/Gas Mark 7. Sift the flour, salt and baking powder into a bowl. Rub in the butter until it resembles breadcrumbs and then add the sugar. 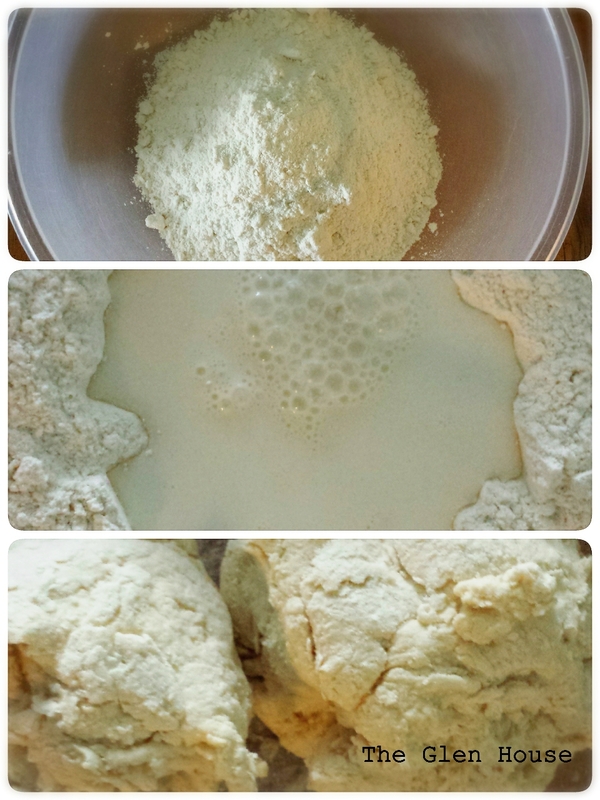 Make a well in the centre and pour in the milk, stir together using a round bladed knife until it forms a soft dough. 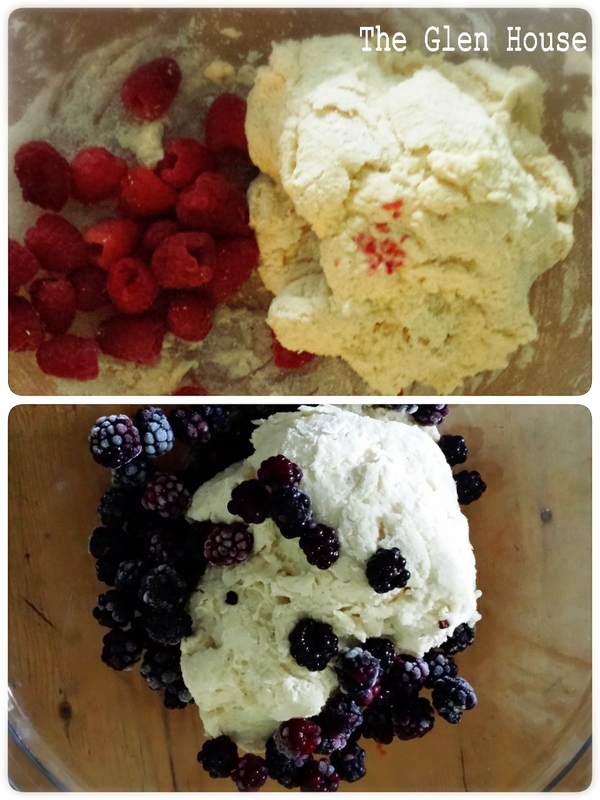 At this stage I split the dough in two, and to one part I added raspberries and the other I added blackberries. I rounded each dough on a lined baking tray and flatted. I then sliced through the dough the get 6 triangles. I finished them off with beaten egg and a generous sprinkle of caster sugar. Bung them into the oven for 15-20 minutes until golden brown. I took mine out just before this and separated the triangles to give the insides a crunchy finish.